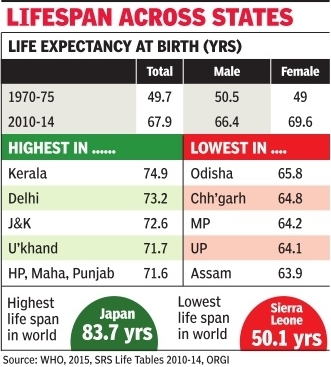 Post-60 years life expectancy is highest in a state you would least expect-Jammu and Kashmir.People here who are 60 years old will live for another 21.1 years on an average. At the other extreme is Chhattisgarh where such life span is 15.6 years.On an average, in India, a man will live for another 17 years while a woman for 19 years after reaching 60 years age. These facets of life and death across the states, and over the years, emerge from recently released `Life Tables' which give yearly mortality data collected from a sample of about 7.4 million people. This work is done by the Sample Registration System under the Census office. The most recent data is from 2010-2014. “Life expectancy can be calculated at birth or at various points in life. Calculations average out death rates at all subsequent ages. This is usually said to be life expectancy of people in any country or state within a country ,“ explains demographer P .M.Kulkarni, formerly of JNU. In 1970-75, people's average life span was just 49.7 years. 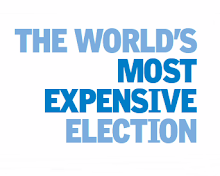 By 2010-14 it had increased to 67.9 years, a whopping increase of 18.2 years. Another change that has taken place is that women are now living longer than men. Four decades ago, men's average life span was 50.5 years compared to 49 years for women. This reversed in the mid-eighties and currently women's life expectancy stands at 69.6, almost three years more than men. Women living longer than men is a global trend attributed to higher death rates in men, being more exposed to health risks. In India, Kerala, with its low infant mortality , higher incomes, higher education levels and better health indicators, has the longest life span of 74.9 years. 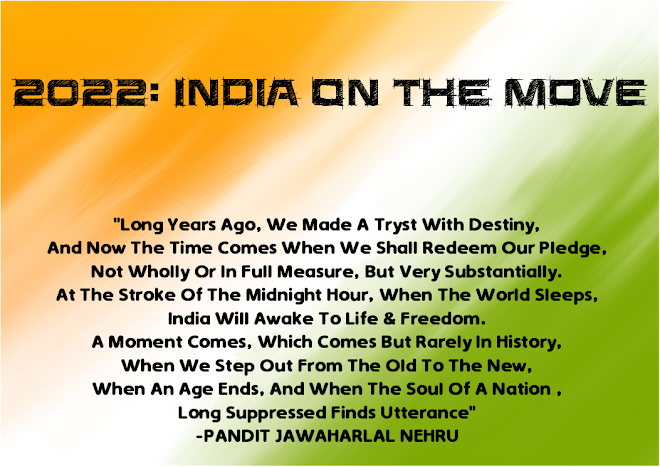 Closely following it are Delhi, Jammu-Kashmir, Uttarakhand, Himachal Pradesh, Maharashtra & Punjab. Lowest life spans are in Assam, followed by UP, MP, Chhattisgarh and Odisha. 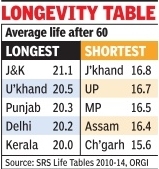 Beyond the age of five years, J&K emerges as the state with longest life span for every five-year age group except the over 70 years group. Reasons for this are not clear but experts think that not too bad poverty levels (15 per cent compared to India average of about 30 per cent), more equitable land ownership and the climate in the Kashmir valley less conducive for tropical diseases and pollution may have created conditions for this higher life span. Similar factors may explain why other mountain states like Himachal Pradesh and Uttarakhand too have higher life expectancy. But why is there a difference between J-K's average life expectancy at birth (72.6) and life expectancy at 60 years age (81.1years)? This is due to higher infant mortality rate, which is in turn highly dependent on how good are delivery and infant care health services. J-K's infant death rate was 37 per 1000 live births in 2013, the same as Jharkhand and only slightly below the national average of 40.